You don't have to know how to sew to make this art quilt!! 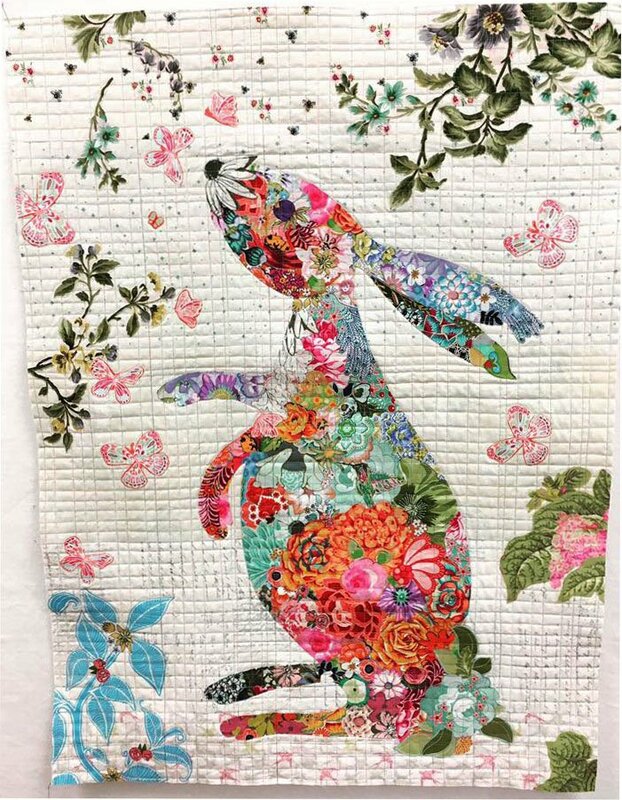 You've probably seen these gorgeous art quilts in shows and always wanted to learn to make one. Now is your chance! Join us for this two part class to learn this collage technique. In the first class we'll talk about the process, draw out your pattern, start cutting flowers and developing your layout plan. You'll have some homework to complete to get ready for the next class. In the second class we'll finish by cutting out your design, adhering to the background and adding additional layers as desired. When we're done, it will be ready to be quilted in a simple grid pattern. You don't need to bring your sewing machine to any of the classes. These are supplies you will need for the class. You should purchase your supplies PRIOR to the class date. *Please purchase the exact product were indicated without substitutions. *2/3 yd Pattern Ease - a type of paper for your collage construction. Very sharp medium sized scissors to cut out flowers on applique sheets. Pattern suggests Karen K Buckley Perfect Scissors, they are serrated and able to get into little corners. We carry these in our store. Fabric! This is the fun part. You will need small pieces of fabric with LARGE flowers, LARGE leaves & other motifs (Sometimes an 1/8 yard is too much!) I used flowers from charm squares, layer cakes and scraps. Don't worry to get whole flowers. Half a flower works just as well as a whole flower. Look for other fun motifs like bunnies, birds, hearts and such. Look for flowers in different sizes and styles. For the background, look for leaves, branches, butterflies, vines and other plants. *Please purchase the exact product where indicated without substitutions. These supplies are available in our store with a 10% class supply discount.